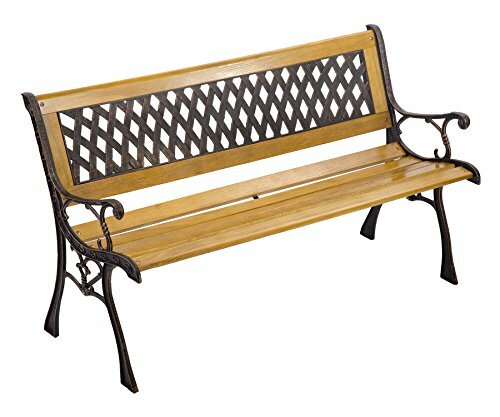 Beautifully designed with high quality and sturdy hardwood and cast， iron will add elegance to your front or backyard, ideal for along a path, under a tree, among the flowers or in your favorite peaceful spot，The bench is designed to endure outdoor weather conditions and features a strong base that is both sturdy and comfortable. If you have any questions about this product by BMS, contact us by completing and submitting the form below. If you are looking for a specif part number, please include it with your message.